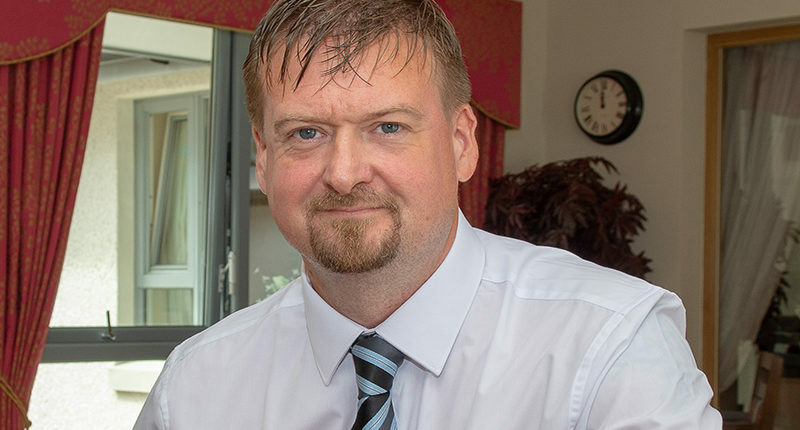 Aberdeen care home Rubislaw Park has appointed a new general manager to drive business following the property’s £2m expansion. The home, which was acquired by family-run business Rubislaw Care LLP in 2015, has promoted Tony Douglas to the GM’s role from his position of deputy manager. Douglas boasts more than two decades of experience in the care sector, working in a variety of nursing and care homes throughout the north east and the Highlands, before joining Rubislaw Park two years ago as clinical lead nurse. His area of specialism lies in the support of individuals with a diagnosis of Alzheimer’s or dementia, and he has recently furthered his learning in helping people living with Parkinson’s. Rubislaw Park was awarded its first grade six marks in some areas by the Care Inspectorate earlier this year. Rubislaw Care LLP took over the 64-bed care home in 2015, using IHT funds to invest £7.5m in the acquisition alongside Care Concern.